Well, now it’s official. Sagaba Konate announces he will declare for the NBA Draft, according to a tweet from Jon Rothstein of CBS Sports. Much has been made about the future of Sagaba Konate in Morgantown. After missing most of his junior season, will he return? Well, now it’s official. Sagaba Konate announces he will declare for the NBA Draft, according to a tweet from Jon Rothstein of CBS Sports. 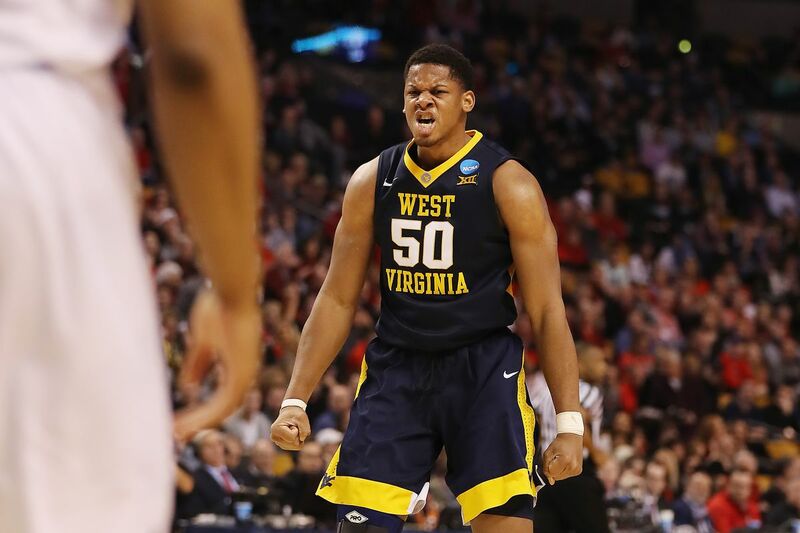 West Virginia's Sagaba Konate tells me he will declare for the 2019 NBA Draft. Konate appeared in eight games during the past season. He averaged 13.6 points, 8.0 rebounds and 2.8 blocks per game. Against Pitt he had 16 points, nine rebounds and seven blocks. With Derek Culver scheduled to return to West Virginia for his junior year and McDonald’s All-American Oscar Tshiebwe set to join him, it was very interesting to see how the minutes were going to be distributed to Mountaineer big men in the 2019-2020 season. With Konate headed to the NBA Draft, that opens things up for the team to focus on the youth movement and build on Jordan McCabe, Derel Culver, Emmitt Matthews, Jermaine Haley and the incoming Oscar Tshiebwe and Miles McBride. While the past season was a very trying one for Bob Huggins and Co., they were able to get big-time minutes for their core moving forward. With Sags Konate headed for the draft, the focus will be on the entire starting five coming back for the 2019-2020 season. As a tribute to Sabaga Konate let’s take a look at the block party he hosted against the Jayhawks back in January of 2018. It has already been announced that Lamont West and Andrew Gordon will not be back for next season and are transferring. There is some serious attrition in the West Virginia University men’s basketball program going on. That said, most people had moved on from Sabaga Konate being a part of the West Virginia men’s basketball program.